Dr. Henry Frankenstein: Down! Down, you fool! Q: Is "Frankenstein" based on a book? Dated-yes, scary-sure, must see-absolutely ! 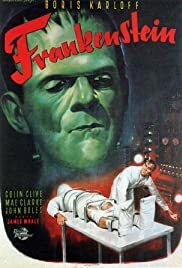 James Whale's original FRANKENSTEIN is a short but memorable horror classic that has influenced so many other fright flicks, it should be considered the Godfather of Horror Movies. This was the first of Universal Studios' moody screen adaptations of literary Gothic horror (the other being Dracula). Put all thoughts regarding Mary Shelly's novel aside and see this original work of art, with Boris Karloff bringing the ultimate monster to life. The sets are a pure spin off of German Expressionism. The good Doctor Frankenstein's castle is twisted and distorted and seems to be not of this world. He is played by Colin Clive in a delightfully freakish performance. And, of course, the well-proportioned Fritz is there to help. Notice the signposts of evil in the opening grave robbing scenes. It is a prop-master's dream and the black and white photography displays a theatrical sense of spookiness. "It's Alive!" will live forever as one of the cinema's most familiar lines and the picture begins to sparkle as Karloff is brought to life. The influence of Fritz Lang's METROPOLIS is evident during the dazzling scene of the Monster's birth. Boris Karloff is and always will be the prototypical Monster. The closeups of his face are truly frightening after all these years. 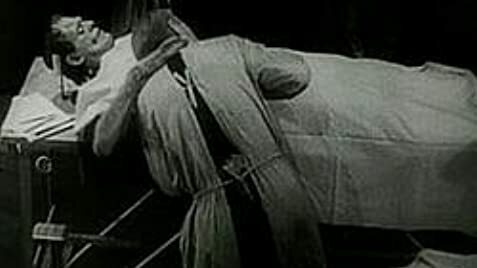 He is walking death, however, Karloff gives him a hint of sadness, of a creature who was not meant to be. The flower-toss scene with the little girl was so controversial at the time of the film's release, it was cut from many versions. The new, restored print available on video has it. I know FRANKENSTEIN has been spoofed many times and is wide-open to criticism regarding its dated look. Mel Brooks went so far as to use the actual props from Dr. Frankenstein's laboratory in his hilarious send-up, YOUNG FRANKENSTEIN. Be sure to keep an open mind and watch it in the dark. Boris Karloff and James Whale have created a monstrously fun film. 60 of 72 people found this review helpful. Was this review helpful to you?